There are many factors that cause the dry, damaged and cracked hands. 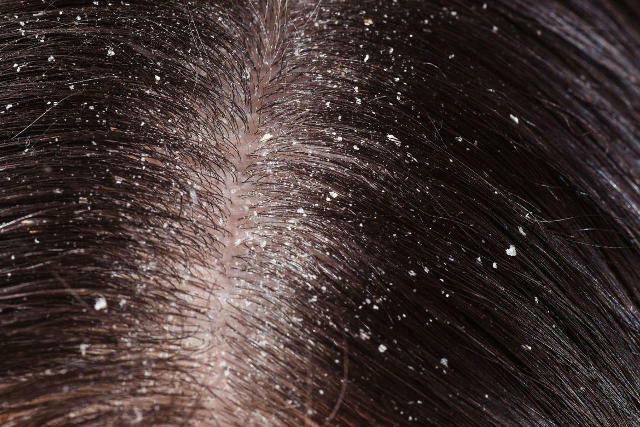 some of these factors are weather, environmental pollutants, and/or medical condition. Weather especially winters make this problem worst. In the winter season, air dries out. when our skin comes in contact with this dried air then it also starts to lose its moisturizer and the result is dry and cracked hands, fingers, and skin. Whatever the reason for dry hands but it is very painful to have. We try many high ends products to get relief from dry and damaged hands but those products give the slow results. So, why not to use natural ingredients that give faster results and also available in our kitchens. 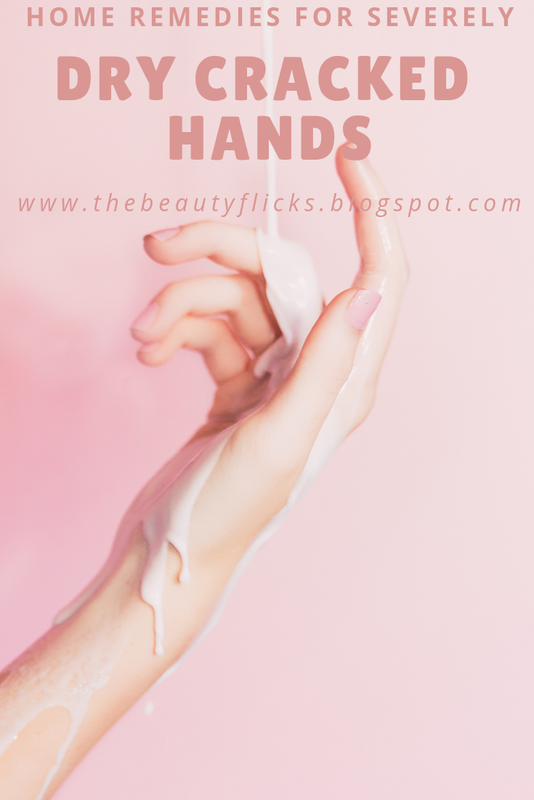 Here, I am going to tell you some homemade remedies for dry and cracked hands that will be beneficial for you. You can also use these recipes on any part of your body to give moisture. Banana has moisturizing properties. So, it is a good remedy for dry skin on hands. It also helps to treat wrinkles and fine lines on the skin. You can use the ripe banana to seal moisture on your hands. Mash half overripe banana and add required amount of honey and coconut oil in it. Mix these three ingredients. Apply this mixture on to your dry cracked hands for 15-20 minutes. Wash it off with lukewarm water first and then with cold water to lock the moisture. Aloe vera has anti-inflammatory properties that reduce the skin inflammation. It also stimulates the growth of new cells. Also, it has natural moisturizing properties that help to keep moisture on the skin. Aloe vera is useful to improve the skin tone as well as reduce any scars and blemishes on the skin. 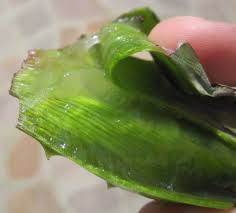 Take a fresh aloe vera leaf and extract the gel-like substance from it. Make sure to separate the yellowish liquid from the gel because it can cause irritation on the skin. Apply this gel on your hands and massage for about 5 minutes. Use this remedy before going to bed. Keep it on your hands for overnight. Rinse it off with normal water on the next morning. Oatmeal is a protein enriched food but it can also be used as a home remedy to get rid of dry and cracked hands. The protein in it helps to prevent the water loss from the skin and keep the skin moisturized for a longer time. It also acts as a natural exfoliating agent that removes the pollutant elements from the skin. Mix honey and oatmeal. Add some water in this mixture to make a paste-like consistency. Now, rub your hands with this paste for 2 minutes and leave it on your hands for more 10 minutes. Take it off with lukewarm water. Honey has antioxidant and antibacterial properties that can heal skin allergy. It gives necessary moisture to the skin and keeps the skin extra smooth and soft. Honey also has anti-aging properties that prevent any wrinkles and fine lines on the skin. So, it can be best suitable to get rid off dry skin on hands. Mix all these ingredients and apply the mixture on your dry hands. Keep it on your hands for 15 minutes followed by washing with normal water. Turmeric in this mixture helps you to heal cracks on your hands and also lighten the skin of your hands. Yogurt is a natural hydrating agent that heal dry & rough skin on your hands as well as on your body. The lactic acid present in yogurt acts like a natural cleanser that removes the dead skin cells. Mix these two ingredients and massage your hands with it for a few minutes. Keep it on your hands for more 5 minutes then clean your hands with luke-warm water. You can also use yogurt as an exfoliator by adding 1 tablespoon of gram flour to the before prepared mixture. Apply this mixture on your hands and massage for 5 minutes. Keep it on the hands until it gets dry then wash it off with normal water. This will helps to remove the dead skin cells from your hands. You can also use this exfoliator for your face. also helps to remove dryness from the skin and make it soft. I have already posted an article about olive oil face packs for dry skin, you can read that post and use those face masks if you are suffering from dry skin. Massage your hands with warm olive oil for about 5 to 10 minutes daily. It will be more beneficial if you apply it before going to bed. Use cotton pads to clean extra oil from the hands and there you go!!! Enjoy the soft and smooth hands. 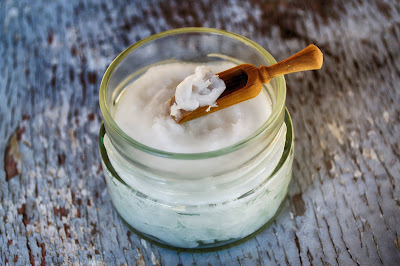 Coconut oil is enriched with fatty acids that are good for dry skin. It also soothes the skin that is damaged by exposure to the harmful UV rays. Coconut oil is very good for the skin. Feel free to read the article on coconut oil and skin care to get more information about the benefits of coconut oil. Apply coconut oil on your hands and massage for 5 minutes. Remove extra oil with cotton balls. Keep it on your hands for 15 minutes. Or you can also use this before going to bed to get most benefits of it. Use the gloves if you do not want to make your bed sheet oily. High-fat contents in milk cream make it a good moisturizer for dry and rough hands. It also helps to maintain the skin's pH level. Rub some fresh milk cream on your hands and allow it to sit for 10 minutes. Rinse your hands with lukewarm water. If you mix gram flour in it then it will prove a wonderful exfoliator. You need to mix 2 tablespoons of gram flour into 2 tablespoons of milk cream. Apply this paste on your hands and leave it on for 20 minutes before washing your hands with lukewarm water. I really need this helpful tips. I didn't even know that an overripe banana can help in moisturizing dry hands. Thanks for this very informative home remedies tips. Thank you for sharing this information! A costless beauty regimen! Thanks for the information. Sharing to my fb group. Looking forward for more such blogs. We have used a lot of coconut oil in our household, but I haven't used the others. Thanks for sharing your recipes! I'm definitely trying this at home soon. My skin struggles a bit during winter. Thanks for sharing babes. WOW!! So many natural options, I had no idea!! Going to bookmark this and try a few over the next few weeks. All 3 of my kids have colds which means blowing their noses and washing my hands literally every 5 minutes during the day. My hands are dyinggggg!!! Ingredients easily found in my kitchen. Wintertime is always dry here and my hands are most affected by it so much so, the finite cracks start bleeding. Love the home made remedies for dry hands. I normally use hand creams. But these organice methods are far better. Thanks for sharing this natural remedy for cracked hands,actually it is very useful in winter season...So the season is going on and the information is very helpful. this is nice1 i tried coconut oil and aloe vera, i will tell my father about these you mentioned, he always complains about dry hands! My skin gets really dry over the winter. I've tried lots of different types of lotions but the only ones I really like have aloe vera in them. My mother also swears by olive oil. I've never tried all natural options. The only one I'd heard of (and used) before is coconut oil. I never knew some of the others are good for cracked hands. I'll have to try them soon. Oh my goodness! My hands are cracking and peeling, especially around my cuticles. The cold mixed with constantly washing my hand (sick preschoolers, yuck) is ruining my skin. Gotta try some of these out! Interesting. I keep my hands pretty soft, however I work in an industry where that can quickly change. Pinning to keep this in mind. I love Aloe Vera my step mom used to grow it to use fresh at the house. I had no idea about banana though!!! I had not heard of any of these ideas, but I love them! I will definitely try the bananas on my dry hands. Your overripe banana mixture caught my attention. I've seen or tried almost everything but that is news to me. I didn't know most of these hacks! It's amazing, thank you so much for sharing, these are things most people have at home or can easily find. I will have to show this to my girlfriend as she is having some hand issues at her new job. I am sure she would love to try a few of these remedies out. This time of the year is really bad for cracked hands. These are some really great ways to take care of them naturally. This is such a helpful post especially this Winter season. Will definitely keep this post noted. I love this! My hands always get so dry with how much washing I do around my two kids. I will be trying them all one by one. Thank you so much for the step by step guide. Thanks for sharing! Very timely as I'm struggling to keep my hands from cracking in this cold weather! Some brilliant ideas - I suffer with really dry hands due to having OCD so there will come in handy. I love the idea of smashed banana and oatmeal as I have those things at home! Will definitely be trying out these methods, thank you! Yogurt and coconut oil are my go to’s. Especially coconut oil. I use it for everything!!! Great tips. My hands would surely get hired for a modeling job after I try these. I suffer from dry and cracked hands, but I normally just slather them with A&D and sleep on it with socks on my hands. I will need to try these out! My hands get so terrible in the colder months. I will definitely be giving this a try! Thanks for sharing! This is a great list of all-natural home remedies. So glad we read this! With the weather we totally need this! All of these remedies sound like they would work wonders on dry and cracked hands. I need this especially now. I love this blog. Full of such useful information!